OAKVILLE, Ont. – Michael Gligic has lined up hundreds of shots at Glen Abbey Golf Club. He played the course at least 100 times as a teenager under the tutelage of Sean Foley, long before the latter became swing coach for Tiger Woods. Rounds have been less frequent over the last decade – Gligic estimates six or eight in total – usually alongside a couple of friends with a beer or two not far from his golf bag. Thursday was an entirely different experience. 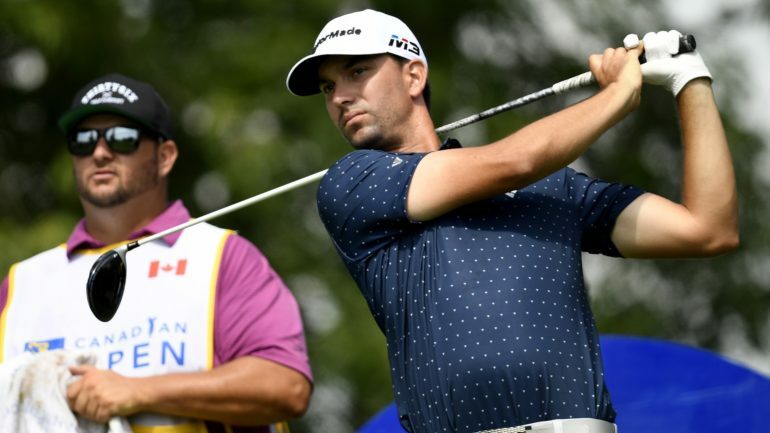 Gligic fired a 3-under 69 in the first round of the RBC Canadian Open at Glen Abbey before play was suspended due to inclement weather. He finished the day tied for 41st. Gligic, who was born in Kitchener, Ont., and grew up in Burlington, just west of Oakville, has played two previous Canadian Opens elsewhere, but competing at the course where he started to hone his skills is special. Much of his career has been spent on golf’s third-tier Mackenzie Tour, previously called PGA Tour Canada. Gligic earned a spot at this year’s Open after tying for first in Monday’s qualifier. 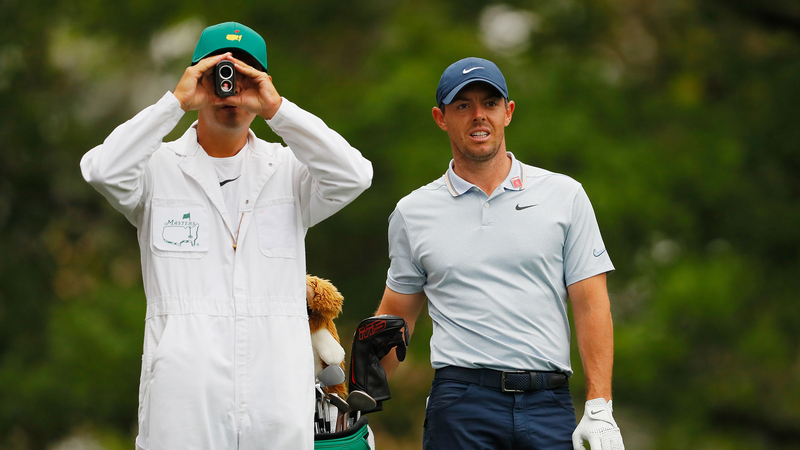 With a morning tee time, his opening round included a combination of searing heat, wind and rain. The six-foot-four, 180-pound Gligic has plenty of support following him around Glen Abbey, where he fired four birdies against one bogey. The 2018 event might be the tournament’s swan song at Glen Abbey – a Jack Nicklaus-designed course that could soon be redeveloped as a subdivision – but Gligic is hopeful the venue’s 30th Open isn’t its last. David Hearn of Brantford, Ont., and Nick Taylor of Abbotsford, B.C., were tied at 4-under 68 as low Canadians. The 39-year-old Hearn has had a tricky season with more down time than he’s used to after losing his full-time PGA Tour status, but is also in decent position to make some noise on home soil. Robert Garrigus tops the leaderboard at 9 under following a round that included five straight birdies on the front nine. Adam Hadwin, also from Abbotsford, sat at 2 under after playing alongside world No. 1 Dustin Johnson (68) and No. 4 Bubba Watson (70) in the early marquee group at the US$6.2-million event. “No one was paying attention to me,” Hadwin joked. Mackenzie Hughes of Dundas, Ont., was at 3 under through 17 after play was suspended for the day due to inclement weather. 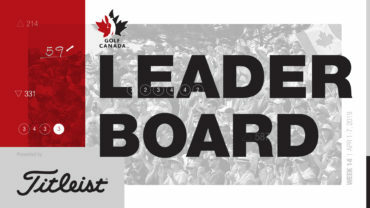 Amateur Chris Crisologo of Richmond, B.C., was at 3 under through 14 holes, while Roger Sloan of Merritt, B.C., was also at 3 under but after 12 holes. Joey Savoie, an amateur from La Prairie, Que., shot 71, while Jared du Toit of Kimberley, B.C., fired a 72. Calgary’s Ryan Yip was at 1 under through 12 holes, and Corey Conners of Listowel, Ont., finished his round at even-par 72. Ben Silverman of Thornhill, Ont., was also at par after 12 holes. Mike Weir of Brights Grove, Ont., the 2003 Masters champion, shot 75. Gligic enjoyed Thursday’s moment in the spotlight, but was eager to put it behind him with even more pressure on the horizon. “It’s just the first day,” he said. “So much can happen. I could shoot 64 or 84 (in the second round).